This year I volunteered at the Cal Vet Home in West Los Angeles for the Thanksgiving holiday after being approached by my friend Herb (who goes to my gym in Santa Monica). Herb wanted live music to accompany the Thanksgiving Day feast for the veterans who live at the facility. The California Department of Veteran Affairs works to ensure that veterans of every era and their families receive all the benefits and services they have earned through their selfless and honorable military service. I was grateful for the opportunity to contribute music to the veterans as a way to say thanks to them for their service. 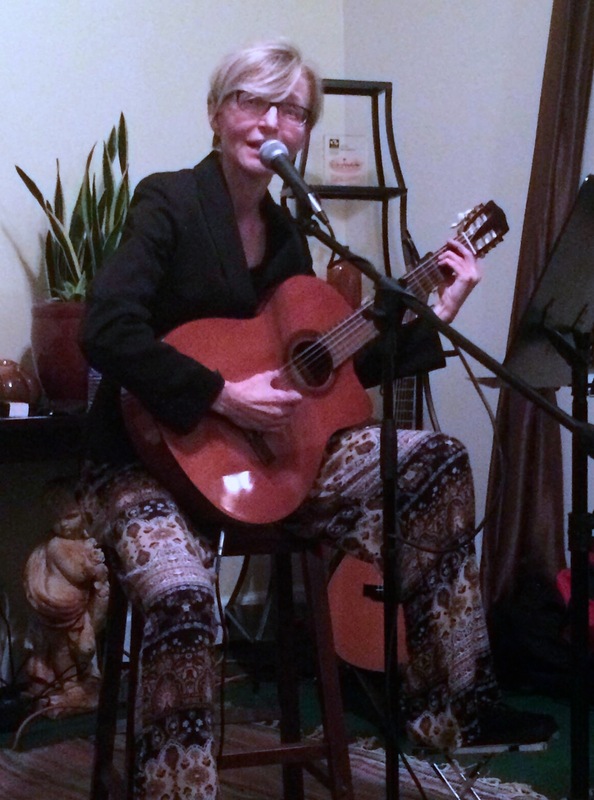 On Friday, November 21, 2015, I played at the Clavo Cellars Winery in Templeton, California at the invitation of my friend Jeff Dalton who moved up there from the south bay this past year. Jeff also performed, as did many other talented musicians. It was a fantastic evening with a lot of people attending and enjoying the show. I know Jeff from our days of riding in the Beach Cities Cycling Club. I brought my mountain bike up with me and Jeff, his friend Christie and I had a great 18 mile ride through paved and dirt roads among the area’s vineyards, farms, ranches and homes. I took my laptop to keep up with school (the benefit of online coursework!) and it was a fun and relaxing weekend. The photo was taken at Clavo Cellars by Jeff’s girlfriend Christie Dubach. But the canary gets along.